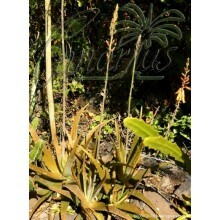 One of the best vrieseas, able to grow in cooler conditions and to take short frosts. 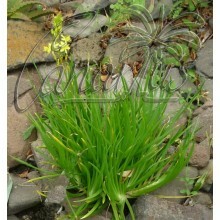 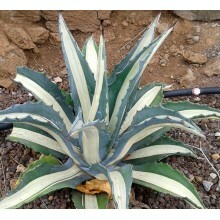 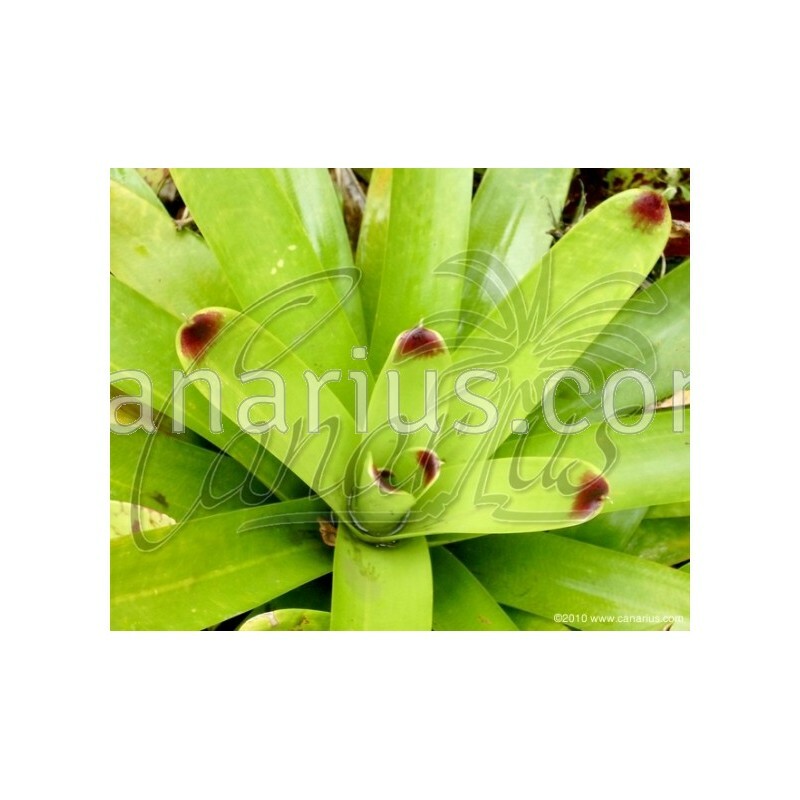 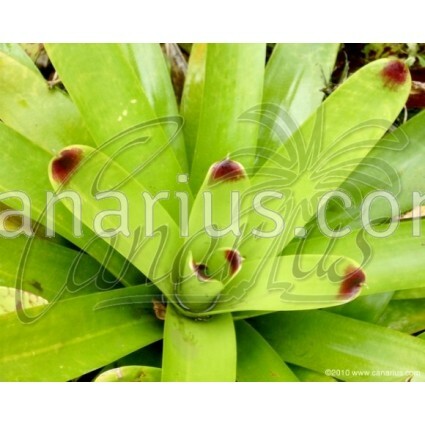 It is a spectacular Vriesea from high elevation, with beautiful glossy green leaves, tipped with darker markings. 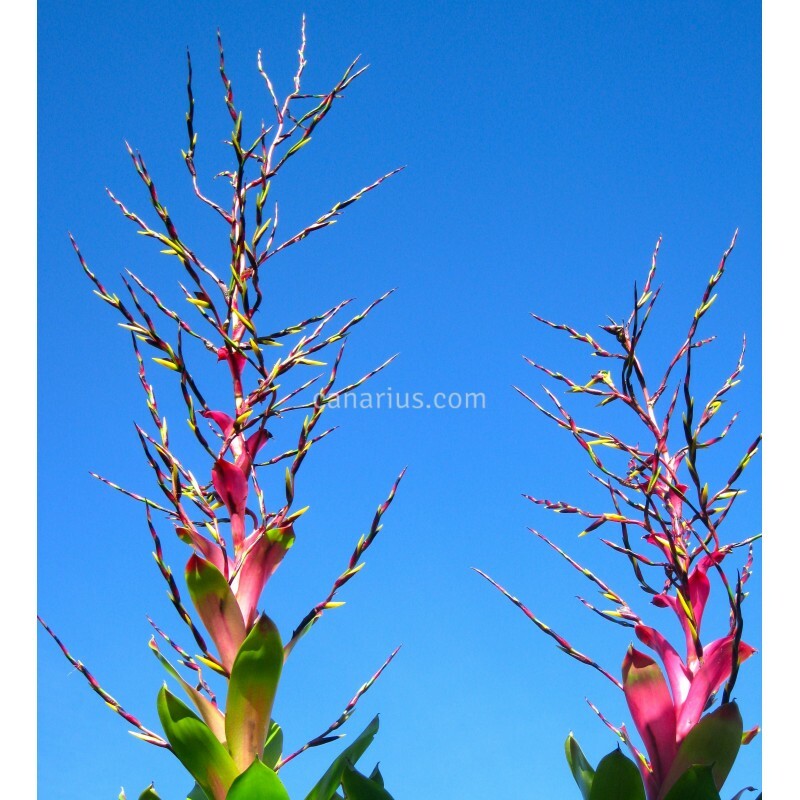 It takes a few years to bloom, but the inflorescence is a beauty, a huge "tower" with pink bracts and yello flowers. 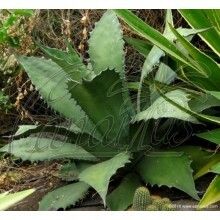 This is a hard to find beauty. 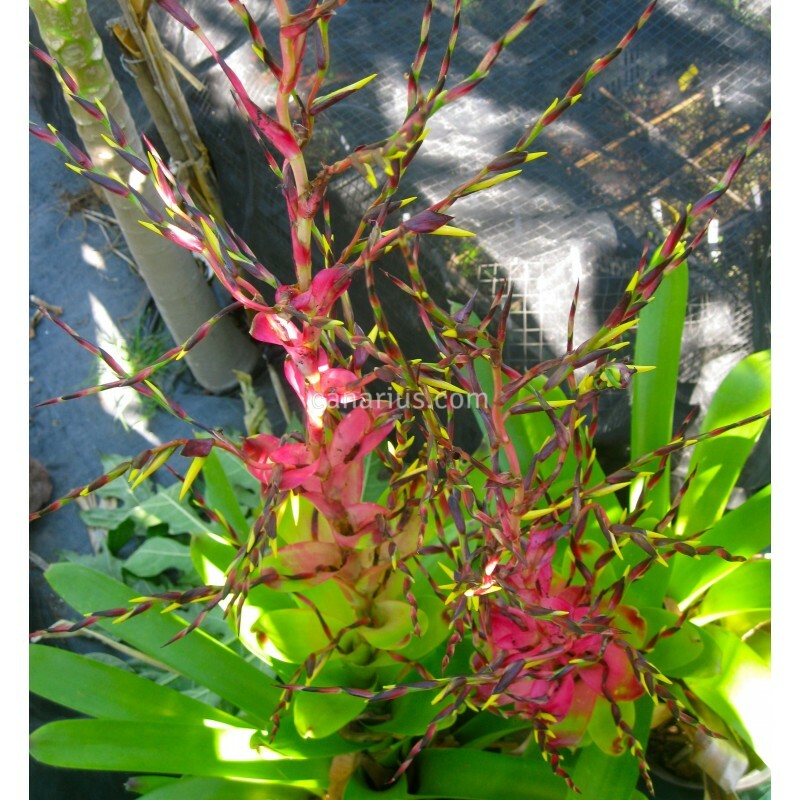 It takes frost to a limit of about -7 C and it likes cool conditions.